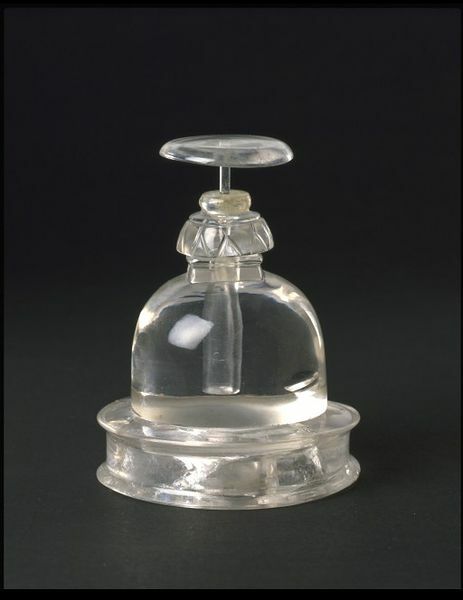 This miniature rock crystal reliquary is in the form of a Buddhist stupa. 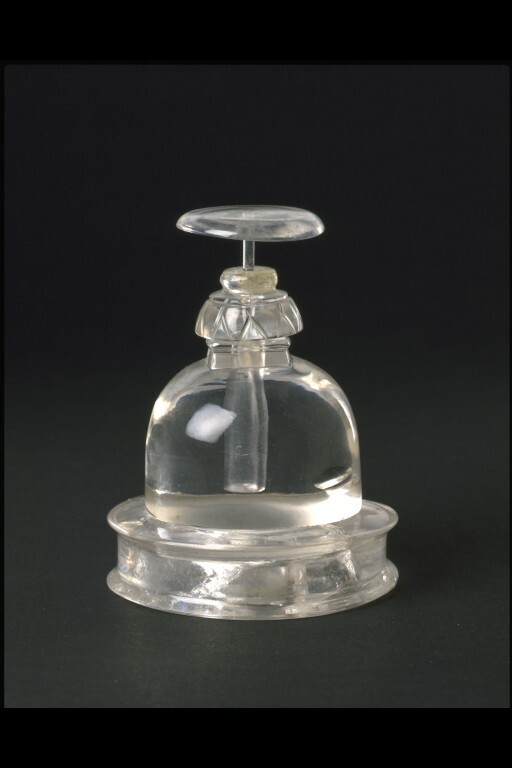 Rock crystal, a material of extreme purity, was often used for making containers for sacred relics. This reliquary was found the relic chamber of Stupa 2 during excavations in 1851 by Alexaner Cunningham and F.C. Maisey at Bhojpur, near Sanchi, Madhya Pradesh, in central India. The barrel of the stupa is hollow to accommodate small relics (present when excsavated, but now lost), and it would have been capped by an umbrella, a symbol of high rank. It probably dates from the 1st century BC. 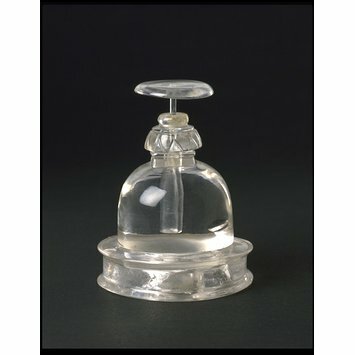 Rock crystal reliquary in six parts in the form of a small stupa. The stupa consists of a flanged-wheel like plinth, sunk in the middle to accommodate the dowel of the hemispherical dome which fits into it. On top of the dome is a square harmika from which rises the double chattra or umbrella. The middle of the dome is pierced with a small perpendicular cylindrical shaft or relic- holder in which were found some minute pieces of bone. The umbrella-pinnacle forms the stopper to this shaft. The object was discovered by Alexander Cunningham and F.C. Maisey in 1851 in the excavated relic chamber (dhatugarbha) of Stupa 2 at Bhojpur some 12 kilometers south-east of Sanchi near the villages of Pipalia and Murel Khurd (the latter having given its name to the site by the Archaeological Survey to prevent confusion with another place called Bhojpur on the banks of the river Betwa). The reliquary was found in a whitewashed earthenware vessel (not in the V&A) that carried an inscription which was unfortunately illegible so the identity of the remains within remains unknown. The earthenware vessel contained several small pieces of bone, four thin round pieces of gold, a garnet bead, a Badakshani ruby, a crystal bead, two beads of a pale greenish crystal and some minute fragments of pearl, all of which have now been lost. The vessel was discovered under an earthenware hemisphere. F.C. Maisey drew measured drawings of all these parts now in the British Library, OIOC WD 546 folio 5a. Bought from Miss. D.Saward, 1921. Guy, John, Indian Temple Sculpture,London, V&A Publications, 2007, p.31, pl. 31. Orientations; vol. 40. no. 4; May 2009; The Robert H.N. Ho Family Foundation Gallery, Victoria & Albert Museum. Orientations, vol. 48 no 2017, John Clarke; The New Robert H.N. Ho Family Foundation Galleries of Buddhist Art at the Victoria & ALbert Museum, p. 65.